With projections of more than 5 billion connected devices by the end of this year and growth to 50 billion by 2020, the challenges facing the Internet of Things (IoT) include a lack of standardization, security, integration, battery life, and rapid evolution. Wi-Fi, in its 16th year, is getting ready for IoT and will perhaps make the most suitable network for the technology. In this session, we will discuss the challenges facing the IoT, and how Wi-Fi can help address them. 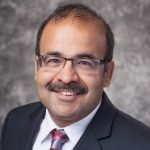 Ajay Malik has over 20 years of engineering leadership and entrepreneurial experience in delivering award-winning innovative products in the SAAS, RTLS (real time location), IOT (internet of things), Wi-Fi, and SDN while holding positions at companies including Meru Networks, Hewlett-Packard, Cisco and Symbol Technologies/Motorola. With over 70 patents pending/approved, Ajay is also author of RTLS for Dummies and Augmented Reality for Dummies.